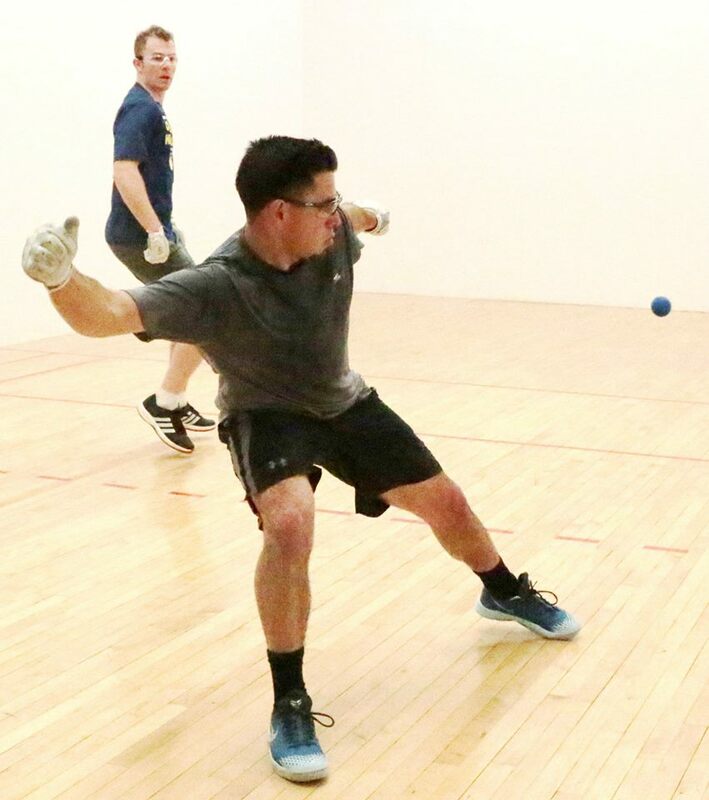 Tucson, AZ, WPH Press, 2/22/17- Mando Ortiz became just the sixth player to reach #1 on the Race 4 Eight Power Rankings since the inception of the tour in 2011, placing him in the most elite group of handball players in the world. Ortiz started his Race career inside the Elite 8 in 2011, but within six months, dropped outside of the top 20 due to inconsistent play and inactivity. Ortiz did not play any events during the 2012-2013 R48 2 season but returned with a vengeance at the Race 4 Eight 3 Plummer Bash in October of 2013, defeating then national finalist Martin Mulkerrins in the qualifier and Naty Alvarado, David Fink, and Emmett Peixoto in the main draw en route to becoming the first qualifier to reach a R48 final. Ortiz would punctuate his comeback season at the R48 3 Player’s Championship, becoming the first player to defeat Paul Brady in a R48 stop. Following Ortiz’s dramatic and sensational win against Paul Brady at the 2014 WPH Player’s Championship, Ortiz struggled to find his peak form during the 2014-2015 Race 4 Eight 4 season. 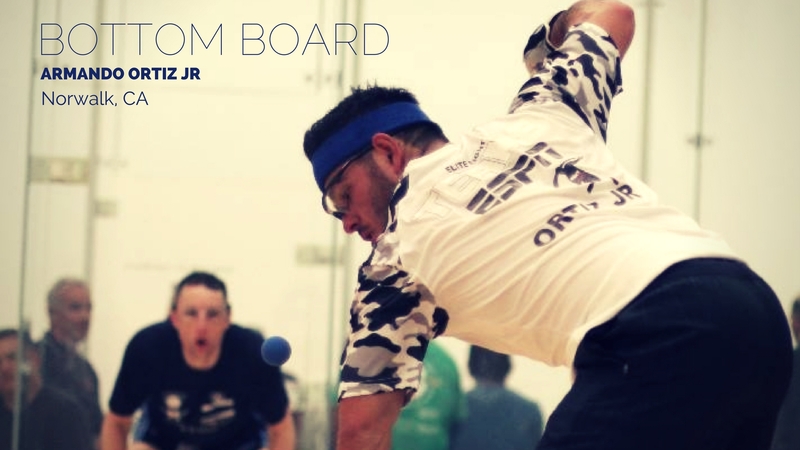 Ortiz was bounced in the first round or quarterfinals in all but one stop leading into the 2015 R48 4 Player’s Championship, seemingly struggling to find the fire that carried him to wins against the sport’s best just a year prior. The fire was reignited at the 2015 Player’s Championship, as Ortiz returned to his virtually unstoppable best with wins against Emmett Peixoto and Luis Moreno before dropping a thrilling final against Sean Lenning. 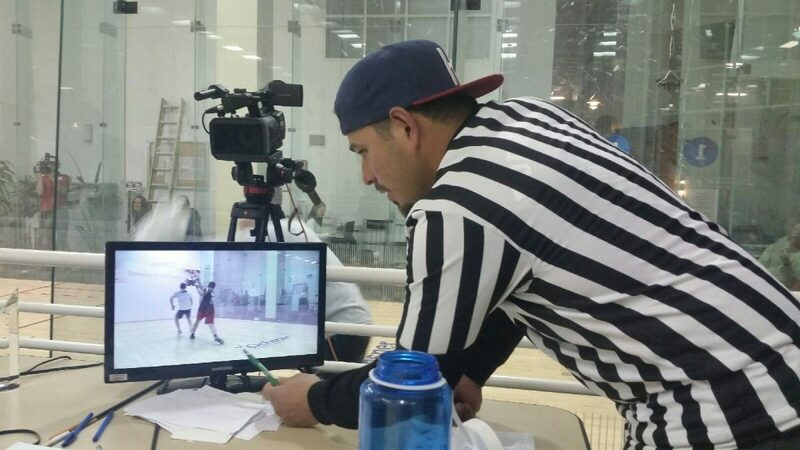 Unlike the slump that followed Ortiz’s 2014 Player’s Championship triumph against Paul Brady, Ortiz’s finals appearance at the 2015 R48 Player’s Championship catapulted his play into handball’s stratosphere, as Ortiz advanced to the final of the 2015 R48 5 Tucson and picked up his first Race 4 Eight title in January of 2016 in Houston, defeating former or current #1 WPH pros Allan Garner, Emmett Peixoto, Paul Brady, and Sean Lenning en route to the title. With the win in Houston, Ortiz became the only player to defeat four current or former WPH #1 pros in the same event and the only player to defeat Paul Brady twice in R48 play. Ortiz’s Houston win inspired more consistent play, as the Southern California LAAC sponsored prodigy would make the finals of the R48 5 NYAC and semifinals of the R48 5 Salt Lake City and Player’s Championship, vaulting him to a then career-best R48 5 year-end #3 ranking. Ortiz validated his #1 ranking just three weeks after clinching the top spot at the 2016 Simple Green U.S. Open at the at the 2016 R48 6 Minnesota, winning his second R48 title by advancing to the final in dominant fashion and winning a close tiebreaker against David Fink in the final. Ortiz did not find the dominant form in the two subsequent R48 6 stops following the U.S. Open and Minnesota at the R48 6 Plummer or R48 6 New Orleans, but Ortiz remains a very deserving #1 heading into the Race 4 Eight 6 Stop #5 Houston March 3rd-5th. To follow Mando Ortiz in action at the next Race 4 Eight 6 stop, go to wphlive.tv and watch him live on ESPN3 March 4th and 5th from Houston’s Race 4 Eight 6.